SUSPENDED Kitwe mayor, Kelvin Sinyangwe, has been arrested for obtaining money by false pretences and has since been detained at Kitwe Central police station. Mr Sinyangwe was arrested together with suspended Ndeke ward councillor, Evans Nsokolo, who was equally facing a charge of obtaining money by false pretences. Copperbelt Police Commissioner, Charity Katanga, said Mr Sinyangwe had been arrested for allegedly obtaining money by false pretences amounting to K116, 000, while Mr Nsokolo was arrested for allegedly obtaining money by false pretenses amounting to K17, 000. Ms Katanga said Mr Sinyangwe, 51, of house number 21 Kitwe-Ndola dual carriage-way was arrested yesterday around 11.30hours and was slapped with two counts of obtaining money by false pretenses and would appear in court today. “Yes, I can confirm that suspended Kitwe mayor Kelvin Sinyangwe has been arrested by police for obtaining money on false pretences amounting to K116, 000. He was arrested around 11.30hours and is detained at Kitwe Central police station. He is facing two counts of obtaining money by false pretenses and is expected to appear in court tomorrow. “He has been arrested together with Ndeke ward Councillor Evans Nsokolo who is also facing one count of obtaining money by false pretenses amounting to K17, 000. 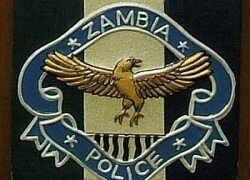 He will appear in court on Friday,” Ms Katanga said. More than a month ago, Mr Nsokolo was arrested for obtaining money on false pretenses and spent seven days at Kamfinsa State Prison before his case was discontinued after he paid back the money he was alleged to have obtained on false pretenses. After spending 10 days at Kamfinsa Remand Prison where he was sent by Kitwe Principal Resident Magistrate, Ikechukwu Iduma, for failure to appear in court, Nsokolo appeared in court on March 7, 2016 and paid back the money he allegedly obtained on false pretenses by falsely pretending to have plots for sale when in-fact he had none. Nsokolo, who was facing three counts of obtaining money by false pretenses contrary to the laws of Zambia, paid back the money in the court room after the complainant demanded that they wanted to reconcile with the suspended councillor on conditions that he paid back the money he falsely obtained from them.